Here’s an odd one: Apple was granted a patent on Tuesday that would prevent you from taking pictures with your iPhone at places where it might be inappropriate or prohibited, like concerts or museums. 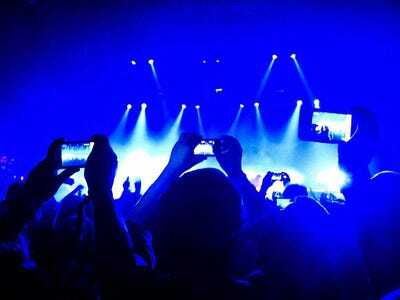 According to Patently Apple, which first discovered the patent, venues could use infrared emitters to broadcast an infrared signal that would temporarily disable smartphone cameras. Ironically, the receiver for the infrared signal that would block smartphone cameras would be the smartphone cameras themselves. However, infrared is perfect for the application described in Apple’s patent, as it won’t disable your camera unless you’re pointing it at something or someone you’re not supposed to. For example, while it would disable your camera if you’re taking a picture of a museum piece, it wouldn’t disable it if you’re taking a picture with your friends at a venue. That’s because infrared is directional, meaning the receiver (your smartphone camera) needs a direct line of sight with the emitter (venue). 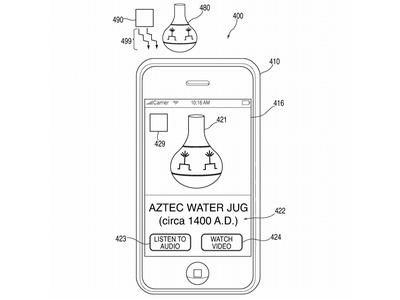 Apple’s patent isn’t all about how it can temporarily limit your iPhone, as it also shows a way how the tech could be used to activate certain features. 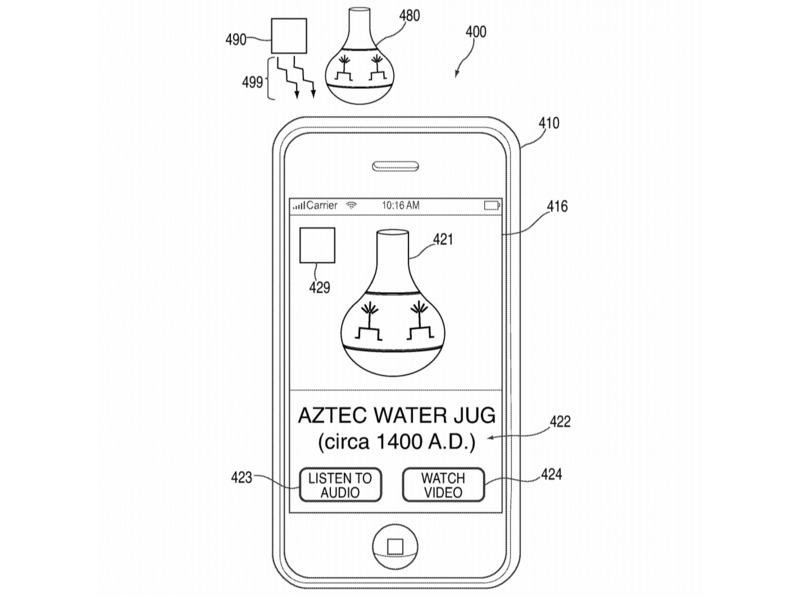 For example, the patent describes a situation in a museum where you point your phone at a museum piece (like the gorgeous Aztec water jug below) to get more information about it. At the same time, a simple description of the object and its history on a placard has proven quite sufficient in my recent museum visits. While these are all great ideas, I would love to see this concept applied to movie theatres, which could automatically dim smartphones or even turn them on silent mode. But that’s wishful thinking. Anyway, don’t worry too much about seeing this idea come to fruition. Though companies like Apple produce tons of patents all the time, very few of them actually make it into real-life products, and we could see this kind of technology becoming controversial for people who want to take pictures at a concert, for example. That said, these sorts of patents do provide a unique insight into Apple’s thought process for software features and additions, so it’s interesting to see Apple thinking of ways to limit people from whipping out their phones at a concert en masse.